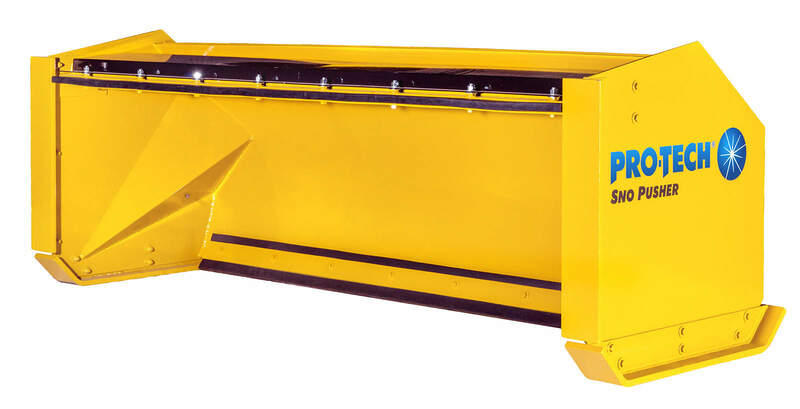 Skid steer snow pushers are considered by many to be the most popular type of containment snowplow. 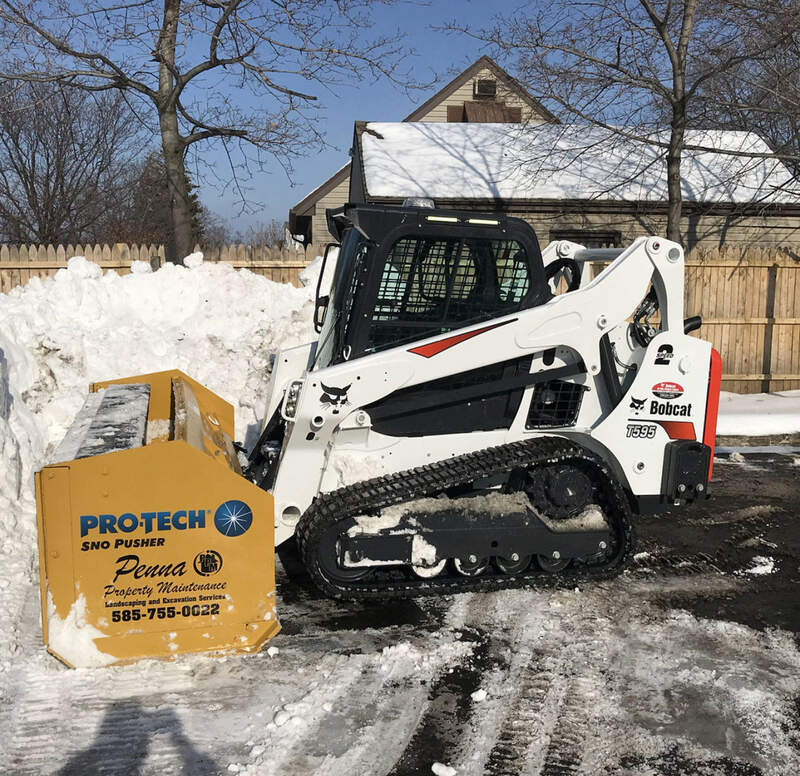 Skid steers offers a great deal of versatility, able to be used for landscaping and construction applications in warm weather and then snow removal during the winter. 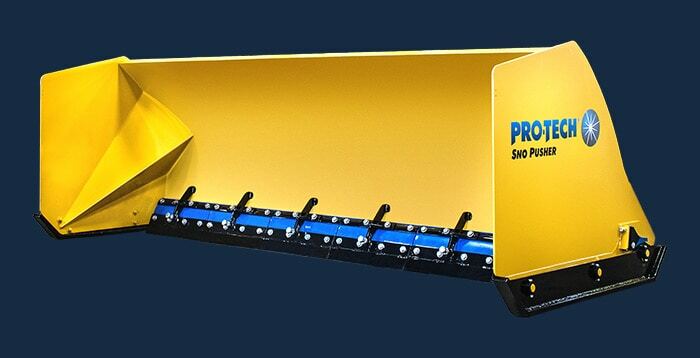 The Pullback Sno Pusher turns your standard rubber edge snow pusher into a double threat, giving it the ability to not only push but also back drag snow. 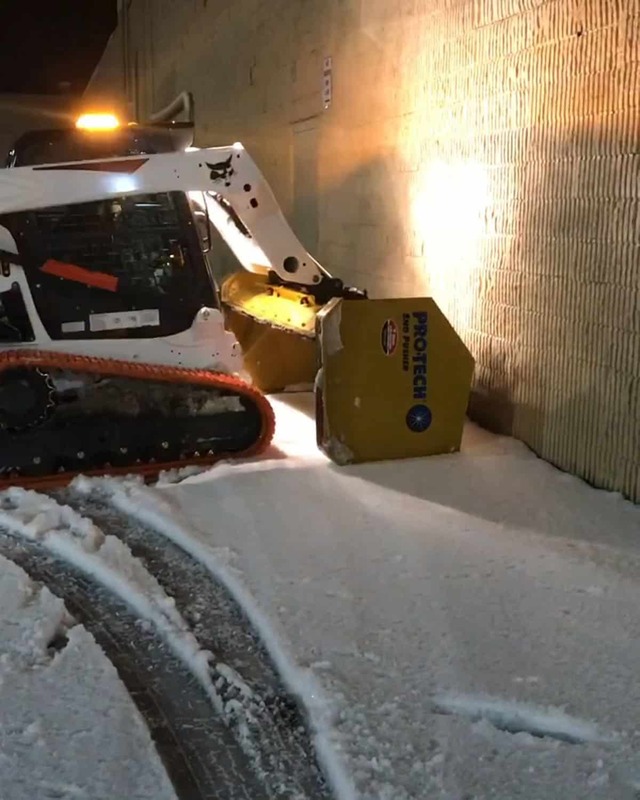 Perfect for loading docks, parking spots, doorways, and other tight areas, customers simply tip the snow pusher forward and use the secondary plow edge to pull the snow backwards. 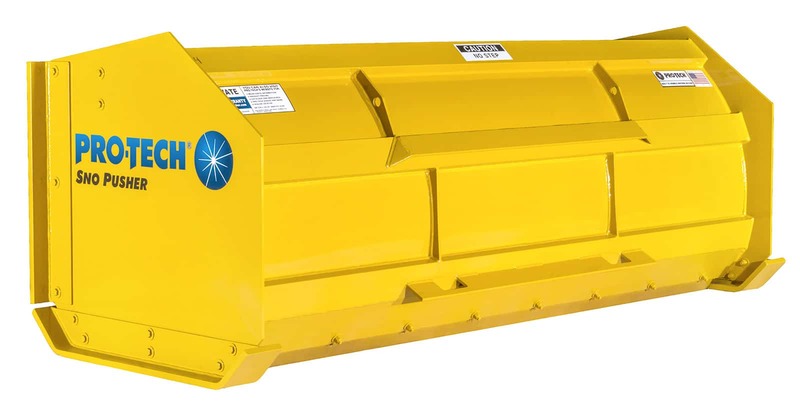 As an extra benefit, the Pullback Sno Pusher can save customers time and money by reducing the need for shoveling or operating smaller snow removal equipment such as snow blowers. 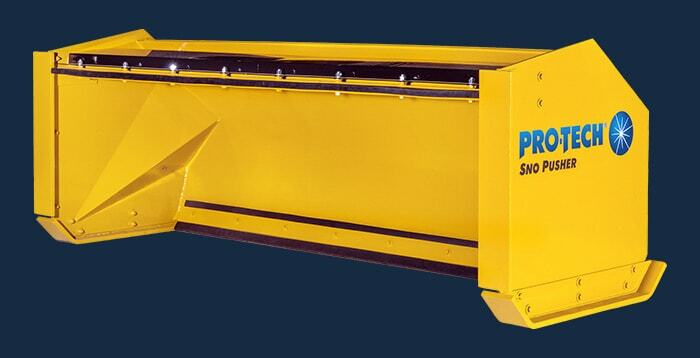 The Pullback Sno Pusher comes in sizes ranging from 6’ to 12’ for your skid steer. 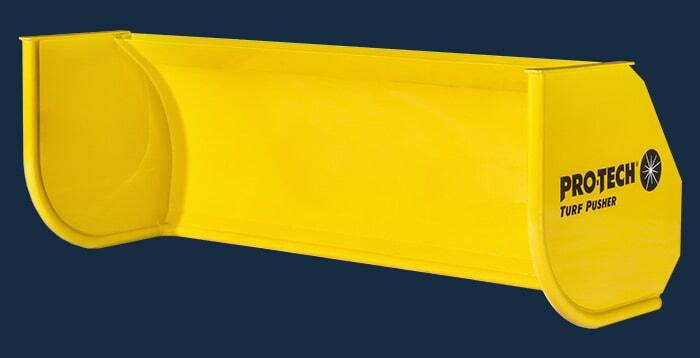 Don’t just push snow, pull snow too! 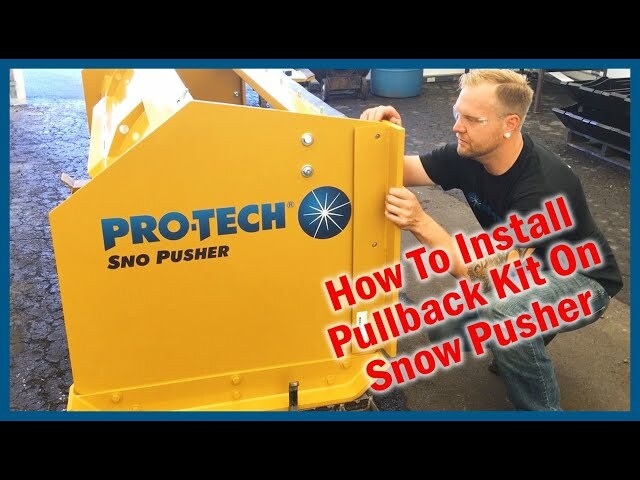 Adding a pullback or back drag kit to your snow pusher can significantly increase your productivity. 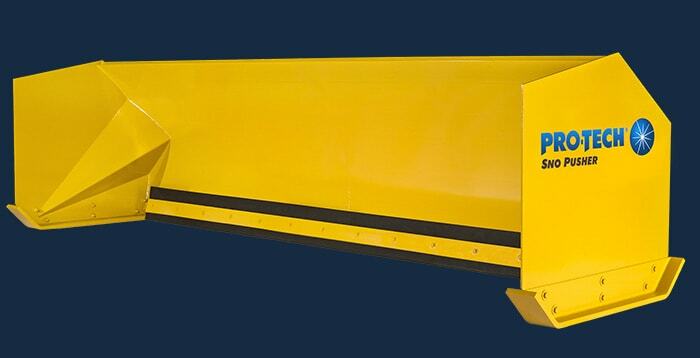 Customers simply tip the plow forward and use the pull back/back drag edge to pull snow away from tight areas. 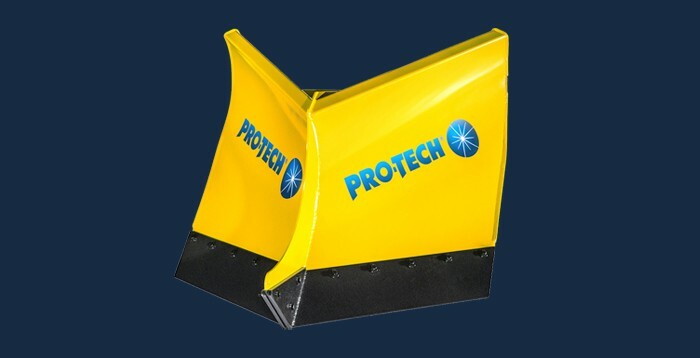 The Pullback Sno Pusher also has a second pair of wear shoes that protect the snow pusher’s sideplate when pulling snow. 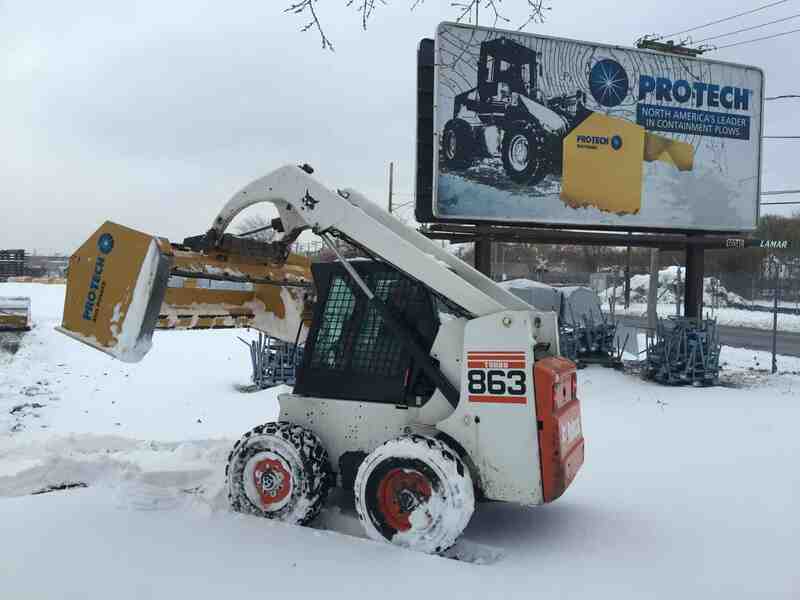 No one likes to constantly get in-and-out of a skid steer cab, especially in cold weather. 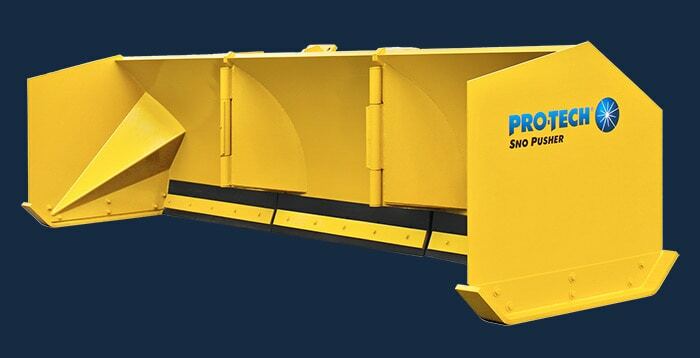 The Pullback Sno Pusher can lessen the need to operate smaller equipment to clear snow from hard-to-reach places. 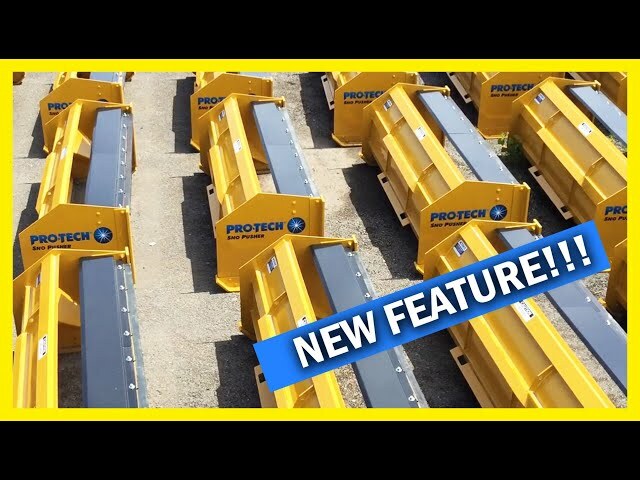 Plus, if you are a bigger company, you can reduce or even eliminate extra shoveling or snow blowing positions, again saving you time and money. 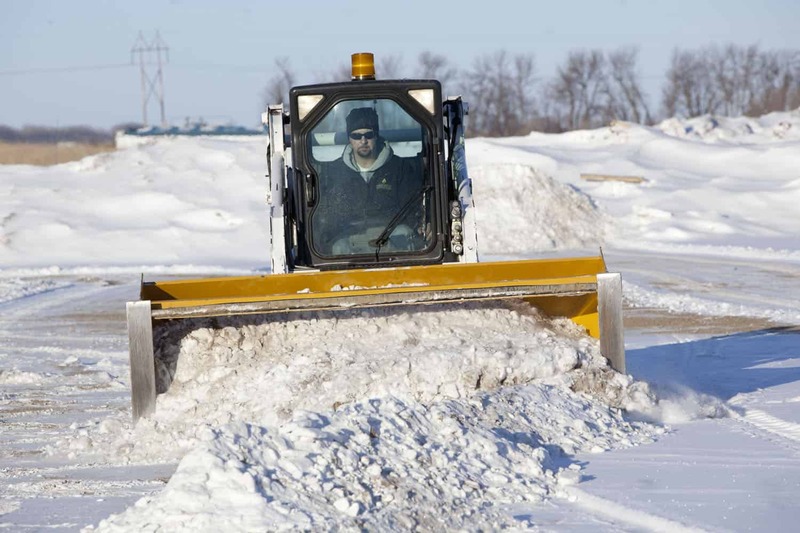 Property owners and managers demand a great deal from snow and ice removal professionals. 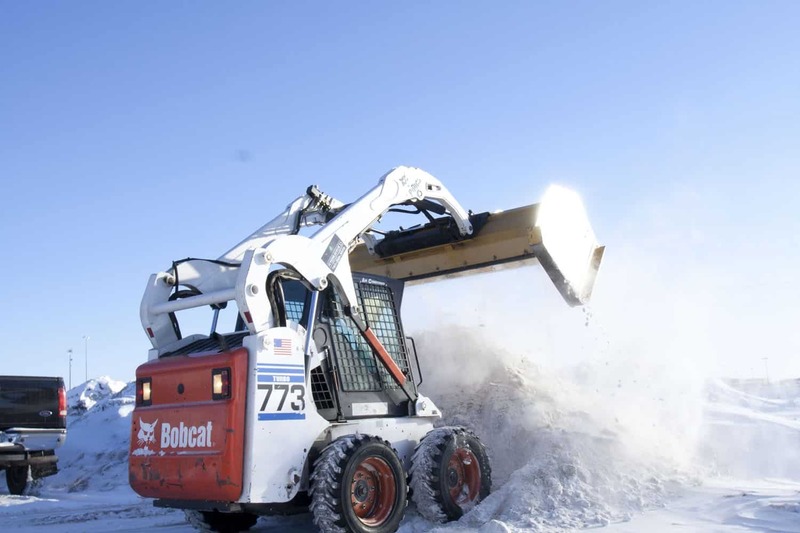 They want snow gone as quickly as possible to eliminate hazards or slip-and-fall incidents. 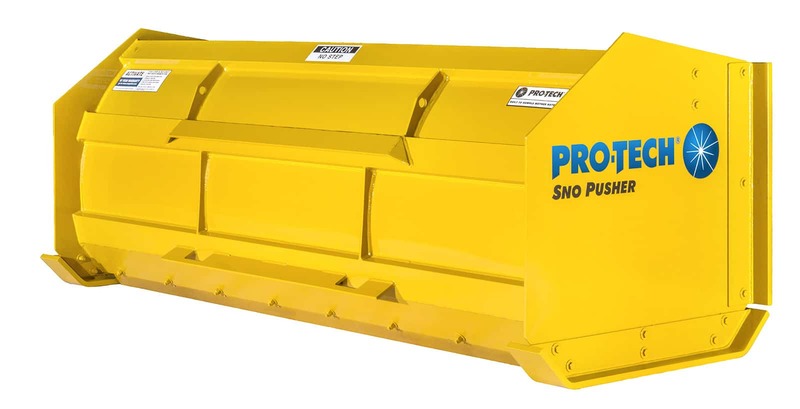 The versatility of the Pullback Sno Pusher allows snow removal companies to improve customer service by clearing snow from areas not accessible with a standard snow plow or snow pusher. 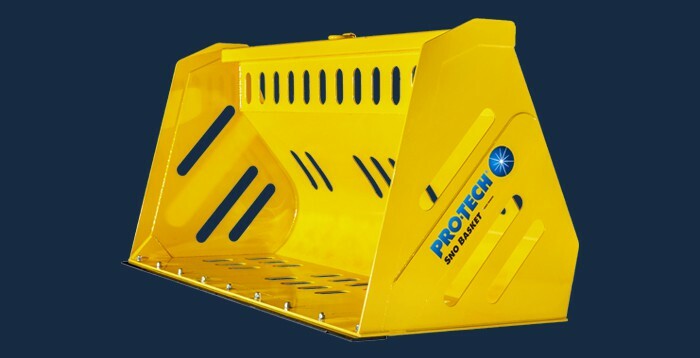 The Pullback Sno Pusher now comes with an additional containment guard, which allows customers to contain more snow when in the back drag position. 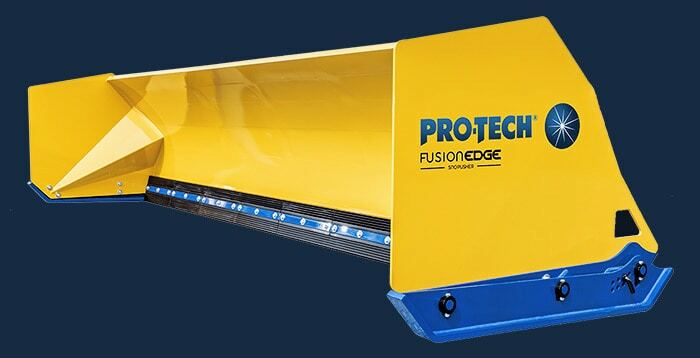 This guard is easily removable if customers prefer more visibility over containment. 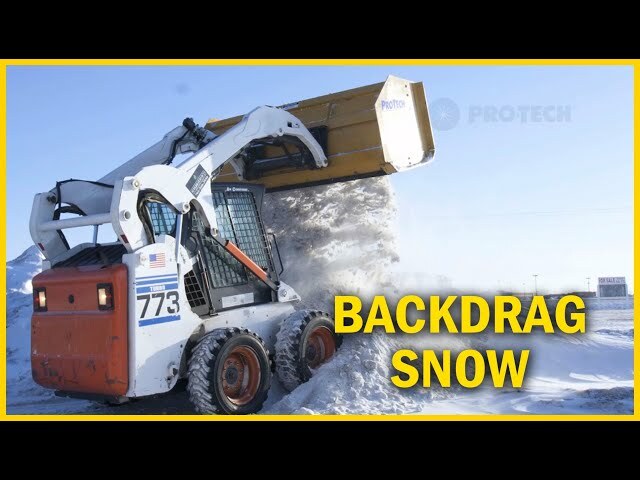 Upgrade your standard skid steer snow pusher. 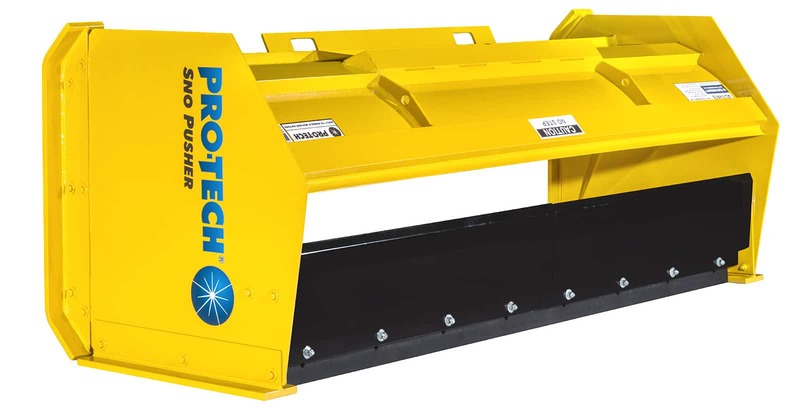 Pro-Tech offers customers a Pullback Kit, which includes the rubber plowing edge, pullback bar, extra wear shoes, and hardware. 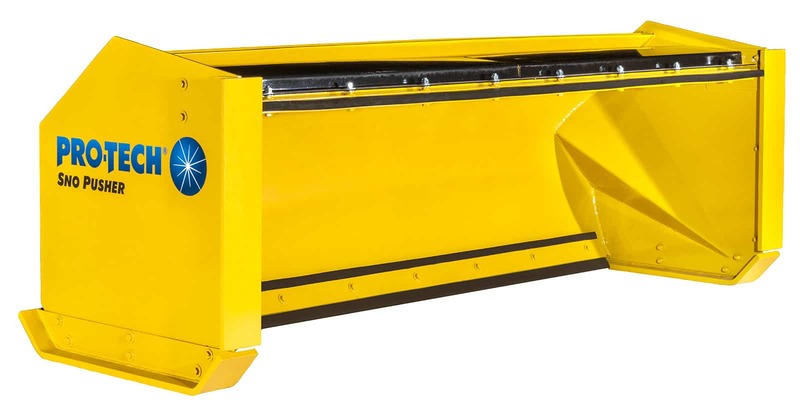 This kit easily installs on our rubber edge skid steer snow pushers. 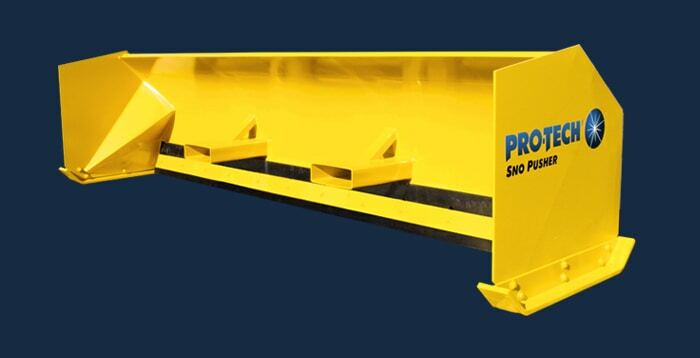 "I’m in the market for another new Pullback Sno Pusher this year and appreciate the craftsmanship you all put in your product." 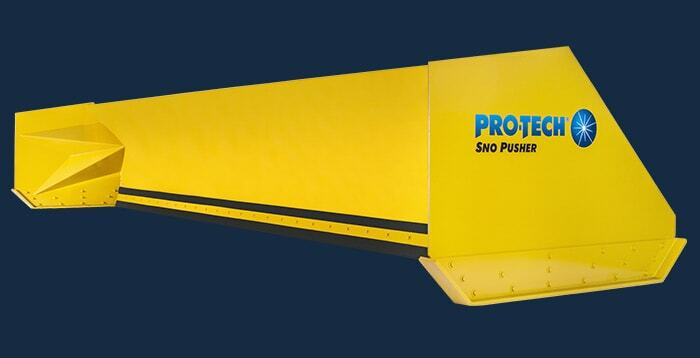 "I currently own an 8ft Sno Pusher and love it." 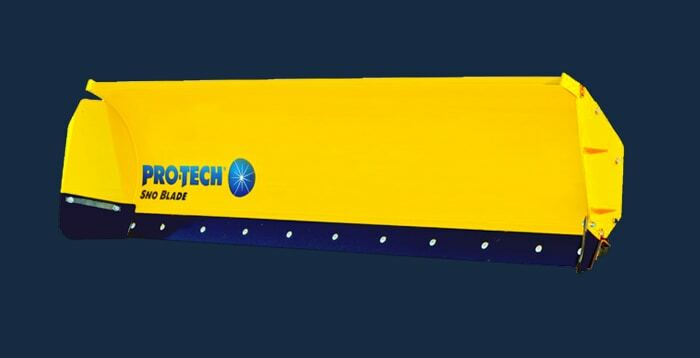 "We do an entire condo complex with a Pro-Tech Sno Pusher. Long and short drives and rough areas. 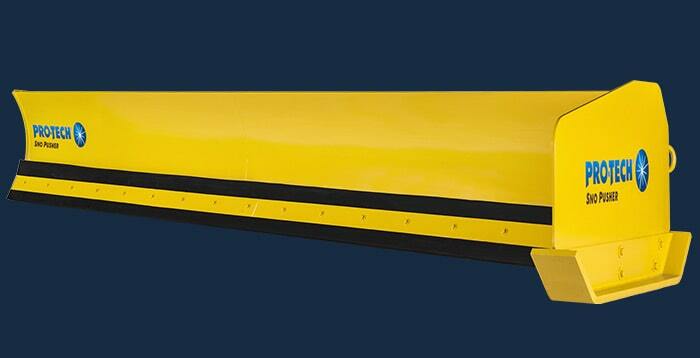 The plow is a life saver." "This 710D John Deere and my 12' Pro-Tech Sno Pusher have gotten their workout over the last 2 weeks fighting this upstate NY Snow filled February! Mother Nature has been no match for this winning combination!"